I made and served dinner - meat lasagna, spinach lasagna, salad, and bread - for me, my mother, Ed, Ed's parents, and my friend Kim - in our little temporary apartment. After dinner was over and my guests left, I made a cheesecake for Christmas Day. There was an NCIS marathon on which kept me company during the entire process. 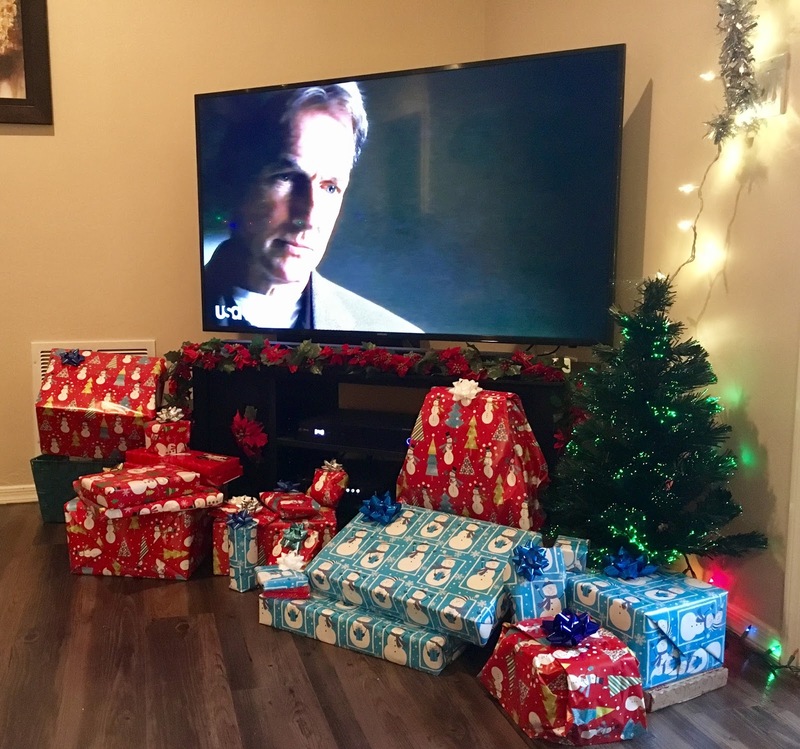 And that's Agent Gibbs up there keeping an eye on our presents. Not a bad way to spend a Christmas Eve.